"Fast-paced and action-packed, this is the tournament that gives hockey fans the chance to see their team go all the way to the World Cup and Olympics. 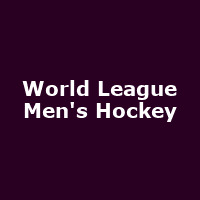 Composed of four rounds and played over two years, the Hockey World League shines a spotlight on the sport around the world. Even the smallest hockey-playing nations have the opportunity to write their own chapter in hockey's history books."